I've always been moved by stories of returning home - I attribute this to early exposure to movies like the Wizard of Oz, Homeward Bound, and E.T.. When I discovered the array of teachings regarding the vision of a pilgrim church, I was captivated. We are all journeying towards our true home - Heaven. I have been so intrigued and inspired by this concept of returning home that I once wrote and helped produce a play exploring this journey, The Walk Home (2008) - disregard the cheesy flyer. Returning home is a beautiful thing. Suffice to say, I have been fascinated by all the talk these past few days regarding LeBron James' desire to do just that, return home. What did he mean? What does he consider home? Why does it matter so much to him? And so I read his essay and thought to myself, "Man, this is some insightful stuff." 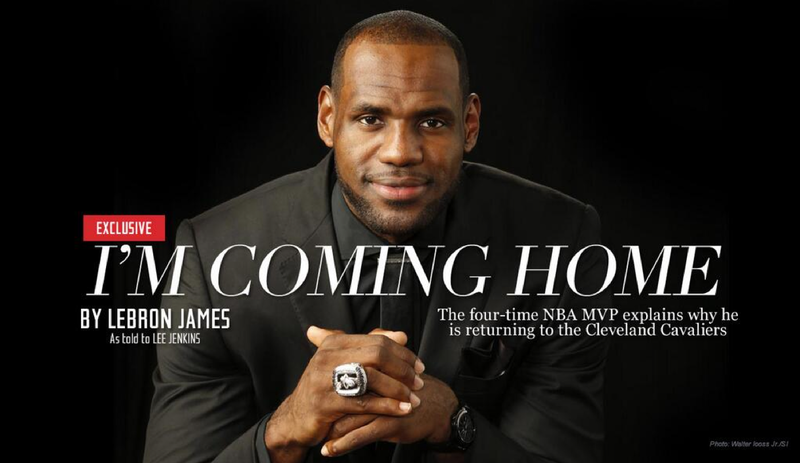 Yes, I know, LeBron James might not be anyone's go-to theologian, and at first glance there may not be much about Heaven that can also be found within Cleveland's city limits, but I do believe that in LeBron's honest words about returning home, there are some nuggets of wisdom that connect with our own returns to our true home. Yes, his essay doesn't line up perfectly with our own pilgrim journey, but I do think that we can honestly learn things about the Kingdom, through the words of King James. Let's see. "My relationship with Northeast Ohio is bigger than basketball." Recognizing that returning home is bigger than basketball - and subsequently bigger than other things - LeBron reminds each of us pilgrims that Home is what matters in the end. It is the message that Christ gives the rich young man, "Go sell all that you have" (Mk 10:21). Why? Because treasure in Heaven matters more. Likewise, Jesus shares with us the parable of the pearl - reminding us that we must be willing to give up the things that we already have, for something that is infinitely better. That's why LeBron is returning home. His home (the pearl) is worth more than all that he has - basketball, opportunities in Miami, potential rings, etc. "When I left Cleveland, I was on a mission." Sure our mission isn't to promise to win 7+ rings and then fail to deliver - it's more like spread the Gospel to the ends of the earth, and be instruments of God's love and mercy. Nevertheless, our mission on earth isn't necessarily an easy one. As LeBron learned, sometimes you succeed, sometimes you fail, but for those of us striving for sainthood, the important thing is to get up, pick up our cross, and continue following after Christ. "To make the move, I needed the support of my wife and my mom." A lot of celebrities, or athletes have left behind their families, or chosen to attempt success without them. LeBron has not done this. I think of many of the ill-fated child celebrities that so often are featured across the covers of those supermarket mags, and imagine what their worlds would have been like if they leaned on the support of their families and journeyed with them. Speaking of childhood stars, remember Family Matters? Why do I mention this? Because, well, family does in fact matter. "My presence can make a difference in Miami, but I think it can mean more where I'm from." What I think LeBron is getting at here is that although Miami was good, it wasn't the best - it wasn't where he was meant to be. This sentiment has been echoed by many different Christians in our relationship with this world. Right? Switchfoot proudly proclaims that "We were meant to live for so much more"; Countless car bumpers and rear windshields explain to commuters that we are "NOTW" or "Not of this world"; Chesterton said when thinking about heaven that he felt homesick at home; and St. Gerard Majella asks the profound question: "Has the world ever been able to satisfy the heart?" LeBron thinks he'll do his best work when he's at home. The saints in heaven do their best work when they're at home, in cooperation with Jesus. Preach it, LeBron! Okay, there we have it, the wisdom of LeBron James. Yea, I know, I've been stretching LeBron's words in this entire article in order to slip in a bit of Catechesis, scripture, and Church Wisdom, but I don't think it has been that great of a stretch. What I think it shows is that in each and everyone of our hearts, whether we have championship rings or not, exists a particular longing to return home. This longing for our earthly homes is but an echo of our desire for our Heavenly Home. My sincere hope is that one day we all find ourselves amidst the great Joy of our Heavenly home, where we can say - like LeBron says about Cleveland - "This is what makes me happy." 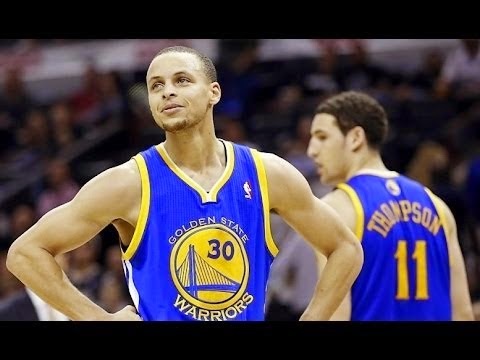 Next time we will explore what the Splash Brothers teach us about Baptism.